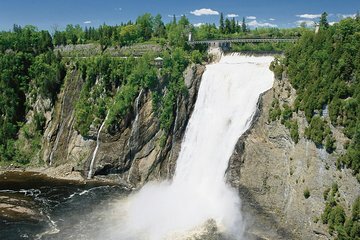 Spare your feet the blisters and make your ascent to Parc de la Chute-Montmorency stress-free when you purchase your entrance and cable car ticket in advance. The leisurely ride to the top offers spectacular views of the 272-foot (83 meter) high waterfall. Be sure to visit the Manoir, where you can learn about the history and heritage of the area.